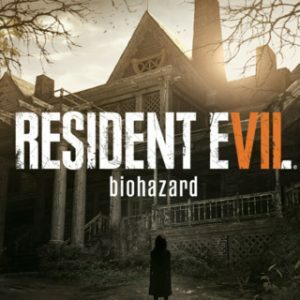 Capcom is back with another installment of the Resident Evil franchise, taking the series back to its roots of survival horror. Does this installment live up to its origins or does it feel more like an action game? Story: In Resident Evil 7: Biohazard you play a character named Ethan who goes searching for his missing wife Mia; she has been missing for three years in Louisiana. Upon your arrival in Louisiana, you encounter a psychotic family named the Bakers, but there is a dark secret behind their driven madness. Your goal is to save Mia and escape the Baker mansion. Gameplay: Resident Evil 7: Biohazard is a first person psychological survival horror game. You go around exploring the Baker mansion and the grounds, collecting items like antique coins, keys for certain doors, exploring puzzles, and fighting off the molded (enemy type) with weapons from handguns to grenade launchers. This is the only the beginning of the game; you never know what is going to be around the corner. Filled with many jump scares and psychological horror, you will beg for the game to be over. Each baker family member is a boss fight but they are not too difficult which is nice, and as you get farther into the game you dig deeper into finding out what is behind their madness, discovering that things are not always what they seem. Conclusion: Resident Evil 7: Biohazard delivers a punch when it comes to the horror; from the classic feel of a messed up house, things moving around and hearing sounds, the puzzles, finding hidden rooms where someone may be kept prisoner, in no way does this game fall short. It is worth the eight hours of your time.